ESA’s LISA Pathfinder spacecraft arrived at its distant worksite, located 1.5 Million Kilometers from Earth for the mission’s ambitious demonstration of cutting edge technology needed for the measurement of gravitational waves, tiny ripples in space-time predicted by Einstein’s Theory of General Relativity. The spacecraft arrived at the L1 Sun-Earth Lagrange Point on January 22 and is set to begin its demonstration, lasting at least six months, in March. 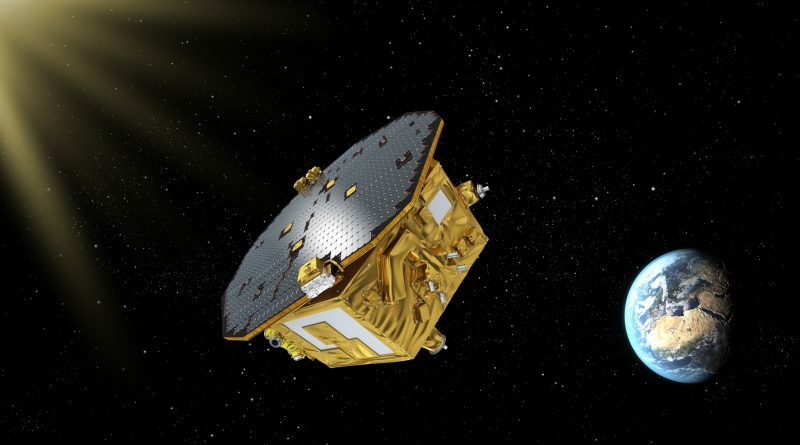 The LISA Pathfinder was sent on its way atop a Vega rocket back on December 3, being launched into a Low Earth Orbit of 210 by 1,521 Kilometers, inclined 5.97°. What followed was a nine-day dash to put the spacecraft through initial tests and commissioning tasks and beginning orbital maneuvers as the spacecraft was tasked with six Apogee-Raising Maneuvers (ARMs) to increase the high-point of its orbit to 1.5 Million Kilometers, directed towards the sun in order to intercept the L1 Libration Point. This semi-stable point where the gravitational pulls of sun and Earth cancel each other out was chosen for this mission as it offers a very quiet environment for the spacecraft to carry out its tasks in terms of gravitational and thermal environments. 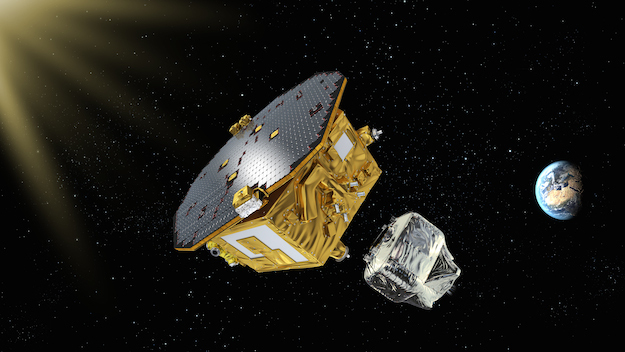 LISA Pathfinder was put through three days of initial health checks and reconfigurations to ready the Propulsion Module for operation and ensure the Science Module’s systems were in good shape after the ride to orbit. A brief burn of the 450-Newton main engine was conducted on the third mission day to gather performance data on the engine to help planning the subsequent maneuvers and ensure errors would be as small as possible. The six ARMs were set up with a number of considerations in mind, the obvious one being the requirement of sending the spacecraft on its way to intercept the L1 point – on the line connecting the sun and Earth – after the sixth maneuver. Another factor playing a role in the burn setup was the maximum burn time with respect to the state of charge of the spacecraft battery and the need to slew the craft back to a sun-pointed orientation for power-generation. Also, a major item to consider was to minimize the time the spacecraft spent inside the radiation belts. Therefore, the burns were set up to jump over the inner and outer belt to spare the electronics aboard the vehicle intense doses of radiation. 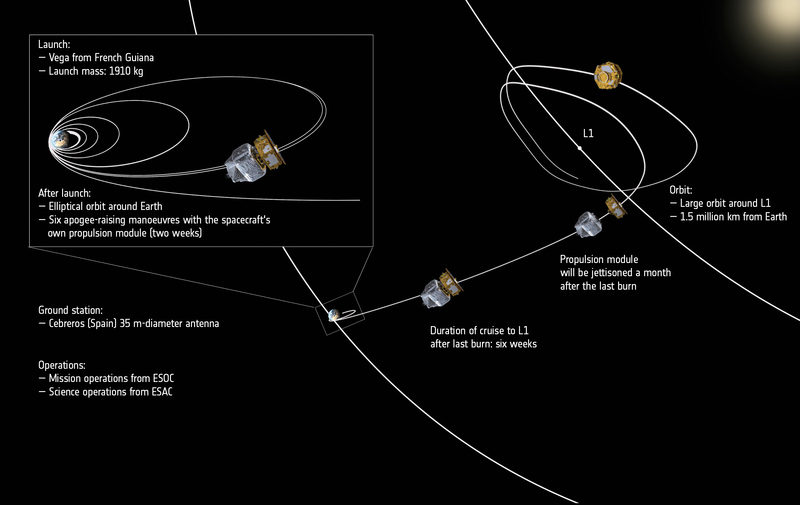 Completing its six-week journey from Earth to L1, the LISA Pathfinder performed a small supplementary burn to correct the ARM6 maneuver with another even smaller correction following thereafter. Given the extremely tight margins that need to be met for a craft to enter a semi-stable orbit around a Lagrange Point, LISA Pathfinder only had to perform a small maneuver to nudge itself into orbit around L1. This 64-second ‘orbit insertion-type maneuver’ occurred on January 20 and used the Propulsion Module for the final time as a supplementary maneuver could be canceled after the first burn was very accurate. Having done its job, the spent propulsion module was separated from the Science Module at 11:30 UTC on January 22, signaling the craft’s arrival in orbit around L1. As a parting gift, the Propulsion Module set the Science Module spinning for stabilization before the Microthrusters could be activated for three-axis stabilization. Next for the spacecraft is a series of three thruster burns to stabilize it in a 500,000 x 800,000-Kilometer orbit around the Libration Point for the start of commissioning activities. After settling in, LISA Pathfinder will finish commissioning that already started while the craft was still en-route to L1. The Disturbance Reduction System has already been checked out and the Laser Metrology System, in charge of measuring the precise distance between two proof masses down to picometer accuracy, has also been powered up for a test. The two Test Masses will be released in a complex sequence in February involving the Positioning and Release Mechanism sporting a three-stage capture design – a single-shot actuator holding the mass in place, a second stage actuator that can break the adhesion to the launch lock and a release actuator breaking the adhesion of the second stage positioning plunger. The launch locks will be retracted on February 3 to be followed by the release the Positioning and Release Mechanism on the 15th & 16th, one mass after the other. The LISA Technology Package is set to initiate science operations on March 1. 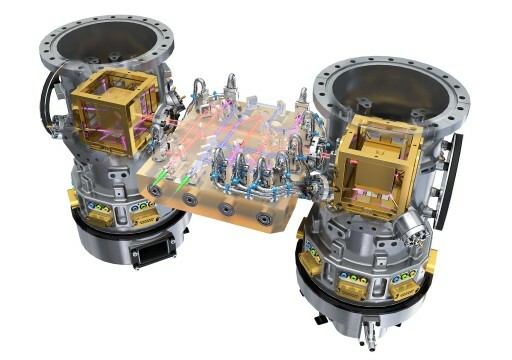 The sensor complement of the LISA Pathfinder mission consists of two major components – the LISA Technology Package (LTP) with its Cold Gas Micro Propulsion Subsystem and the Disturbance Reduction System (DRS) provided by NASA. Both systems will test the key technologies for drag-free control in a system that is comprised of three orbiting bodies, essentially a small formation flying exercise of three parts – the LISA Pathfinder spacecraft and the two proof masses within it. The metrology concept for the mission calls for one of the masses to be in ‘perfect’ free fall in all translational degrees of freedom, no force is purposely applied to this particular mass. 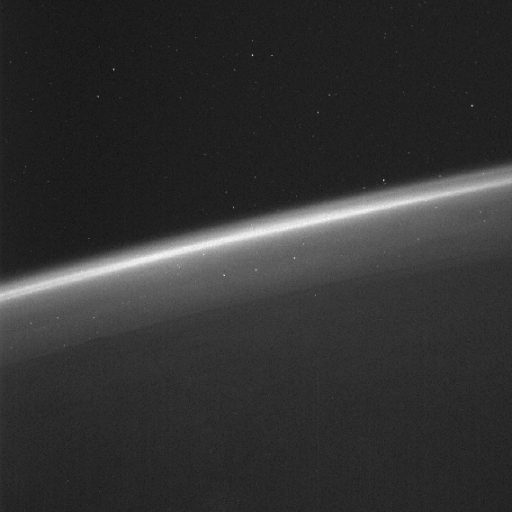 The spacecraft follows the first test mass by using its drag-free control system that enables it to ‘free fall’ along with the mass with sufficient accuracy. 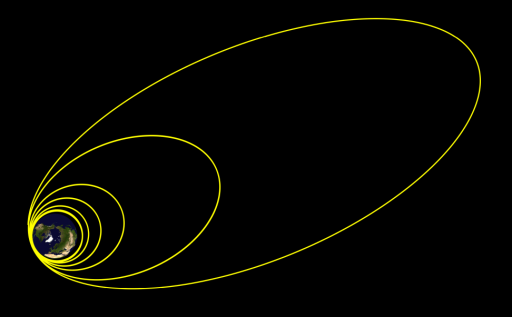 The second mass is free along the y and z axes and the spacecraft can follow this by using rotation around these two axes. The high-precision measurement system will track the motion of the test masses relative to the spacecraft to allow for test-mass to test-mass tracking with an accuracy unaffected by spacecraft motion – even for test masses in different spacecraft which will be the case for eLISA.